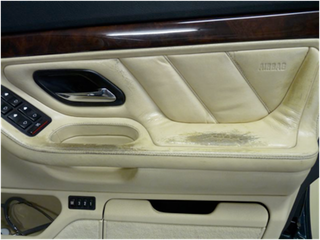 I recently purchased this BMW 7 series, which was in great condition apart from some wear on the seats and drivers armrest. 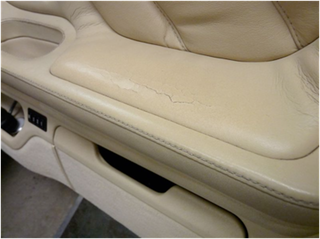 The previous owner had performed a shoddy dye touch up to hide some questionable repairs and cracking on the seats and drivers armrest. 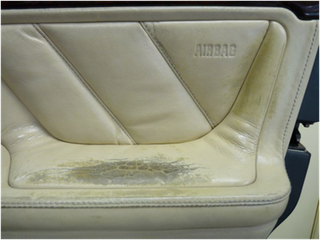 My first job was to use the Leatherique Rejuvinator and Prestine Clean over all the interior leather. 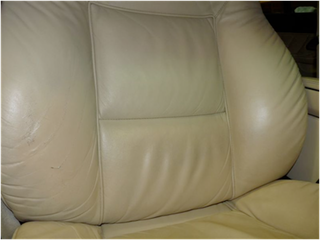 This was repeated a couple of times to get the leather back to what it should be, soft and clean. It’s a bit like washing the car before polishing it. 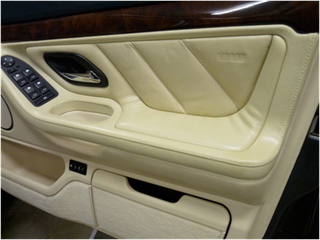 These following pictures show the armrest before I began. 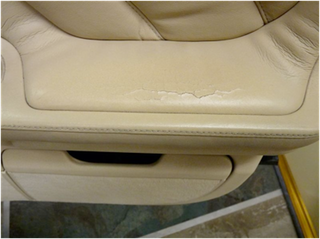 You can see the difference in the dye and the cracking caused from sweaty arms and lack of leather care. 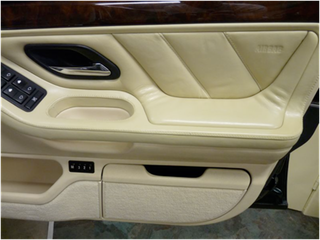 The leather was also cracking near the door-opening latch where the leather was pushed to open the door. 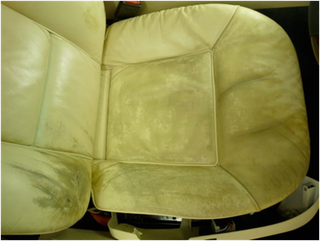 My next job was to strip off the old and poorly applied inferior dye with General Purpose Thinners and then again use the Leatherique Rejuvinator Oil and Prestine Clean to restore and clean the leather. This is where it takes steady nerves because it gets worse before it gets better. 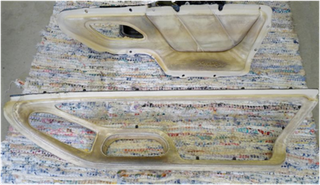 These pictures show the old bad ‘paint like’ dye coming off. 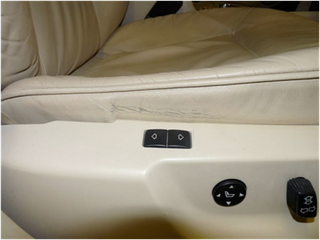 I then decided to remove the door panels which turned out not to be too much of an issue because the airbag stayed where it was in the door. Having the door panel removed made it much easier to prepare and dye the parts separately on my workbench. The affected area’s were wet sanded with the Prepping Agent. The next stage was to mix a small amount of the matched dye (supplied by Rob from Leatherique in Sydney) with some crack filler and fill all of the cracking and sand it flat. This takes a little while to get it looking really flat and smooth but well worth it in the long run, I learnt a long time ago that good preparation is everything. 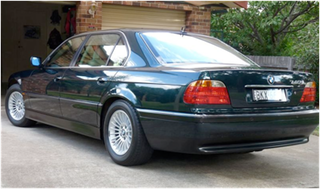 I then applied a couple of coats of dye by wiping it on with a cloth pad and then a final spray coat using a ‘Touch Up’ spray gun with the dye diluted 10% (water) and the pressure regulator set at about 40psi. I set the gun on a fine mist spray and the result was very pleasing for the final finish. Leave for 48hrs and then buff with a soft cloth and job done. 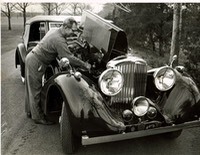 The next two shots show the completed job. 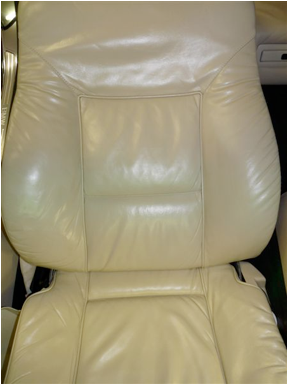 The next stage, and the most challenging, was the driver’s seat, which had holes, cracks, scuffs and splits. 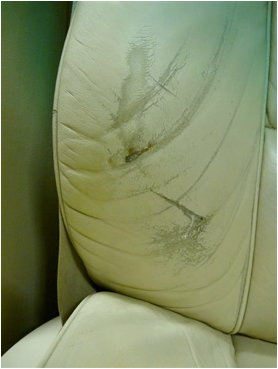 The drivers seatback nearest the door had two 40-50mm long by 2mm wide holes in the leather that had been poorly filled and the whole seat had been covered with a dye/paint that was starting to flake and crack because of it’s poor quality, especially on the seat base. 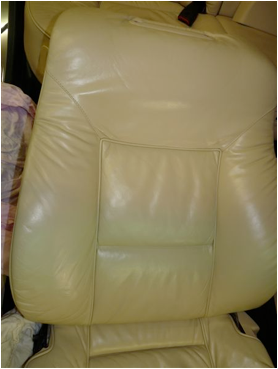 The next three pictures show the seat before I began work, in real life the seat looked far worse than this. 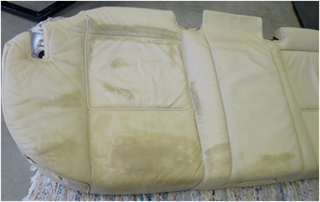 The two pictures below show the seat after applying the Rejuvenator Oil and repairing the holes but before the filler was applied and the seat sanded using Prepping Agent. 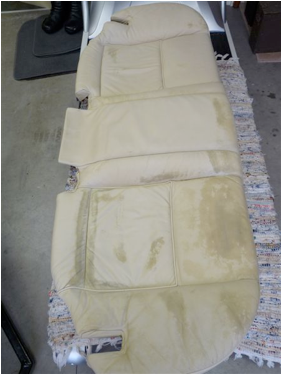 The back seat was in pretty good shape but had a few scratches from something sharp being dragged across it, probably a Golf bag, and again the seat had been touched up with a poor dye/paint finish. 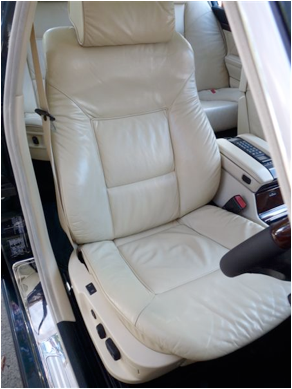 I removed the seat from the car and took out the cup holder and both electric headrest switches before starting the work. After using the GP Thinner to remove the old touch up dye I used the Leatherique Rejuvenator Oil and Prestine Clean, after that I went to the Prepping agent and wet sanded. 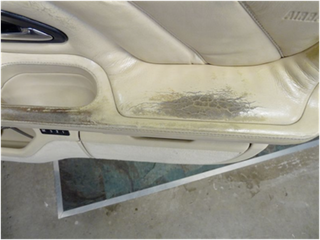 These next two shots show the results after rejuvenator oil application and the wet sanding. 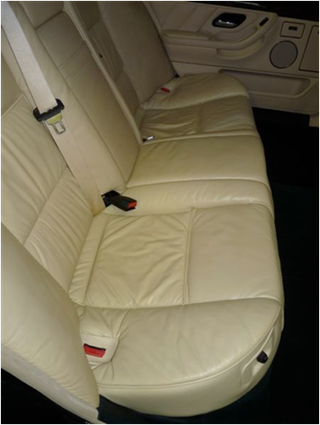 Over the next few months I will re-finish the rest of the leather in this car, the head rests are now also done and I have more than enough product to complete the rest of the car. 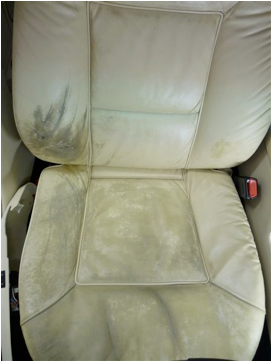 I didn’t realise how much leather there is in these BMW’s. 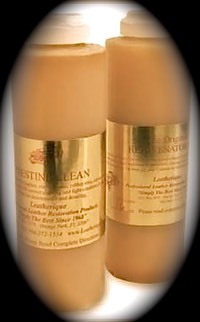 Rob supplied me with 500ml of Rejuvenation Oil, 500 mil of Prepping agent and the same of Prestine Clean. Rob also helped me with my many many questions (some silly) regarding this project, it was great to have him at the end of the phone to help me step by step. 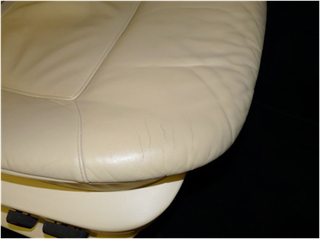 This was my first attempt at this sort of leather restoration and so far I am very happy with the outcome. I’m very happy with their product. Thanks again Rob.